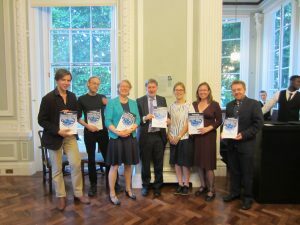 The 2015 Exhibition: ‘Philosophical Transactions: 350 years of publishing at the Royal Society’ (2 December 2014 – 23 June 2015): Download the exhibition brochure. 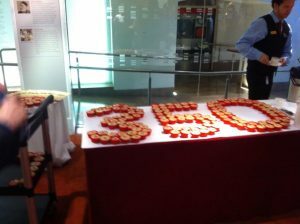 (PDF) Photo gallery of highlights from the exhibition at The Guardian‘s Higher Education Network here. Written a 26pp illustrated brochure celebrating 350 years of the Philosophical Transactions. 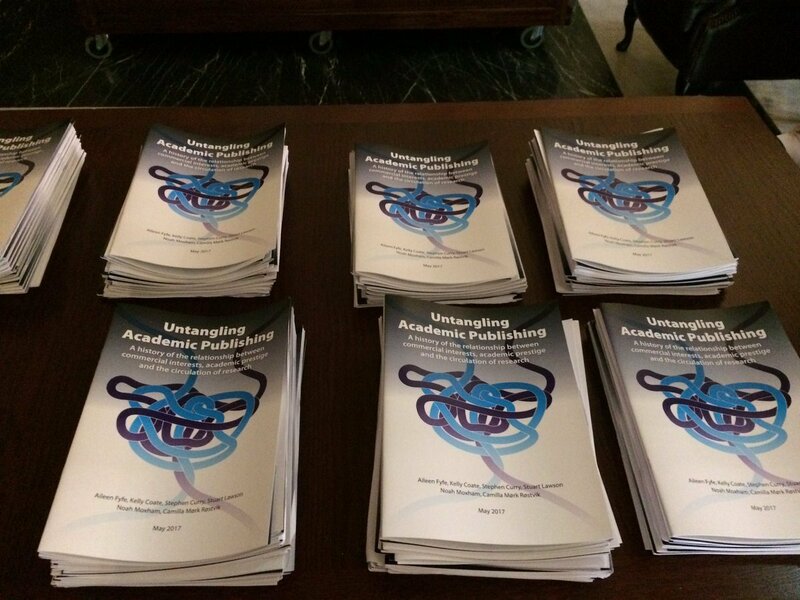 Around 500 copies have so far (April) been distributed to fellows of the Royal Society, visitors to the exhibition, and key stakeholders in scholarly publishing. 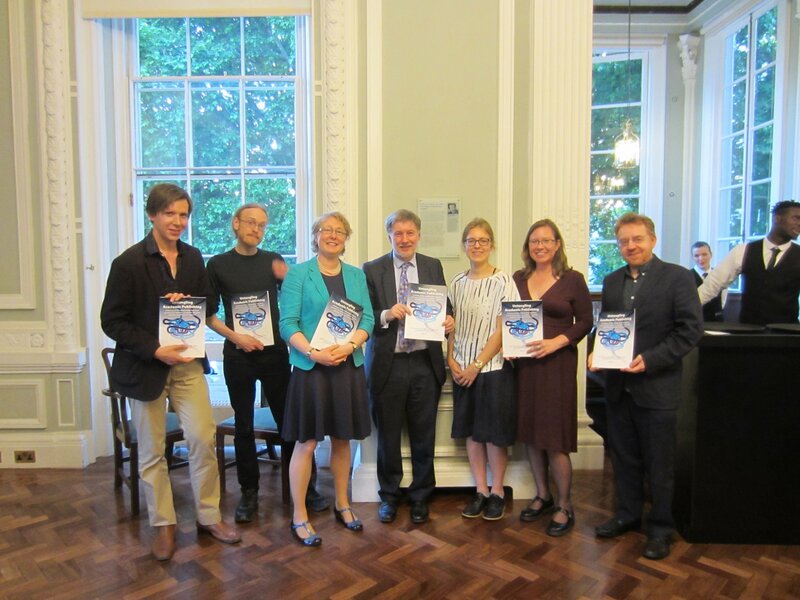 AF was invited to be part of a plenary session on peer review at the meeting of the Association of Learned and Professional Society Publishers, 10-11 Sept 2015. Her presentation (both slides and audio) is available from the ALSPS website; the video of the whole session is on YouTube. AF was invited to address the Open Access Scholarly Publishers Association on the topic, ‘What can history tell us about the future of academic publishing’ (Amsterdam, Sept 2015). Her presentation is available as video and slides. NM gave a talk on 20 September 2015 as part of the Royal Society’s Open Doors event. ‘Politics of Academic Publishing’ workshop, 22 April 2016 at the Royal Society, organised by CMR. Follow-on event in St Andrews after the 2016 workshop, in order to write a policy paper about the current state of academic publishing. 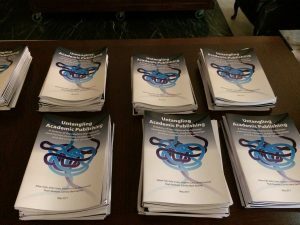 As a result of the 2016 conference and follow-up event, publication and launch of “Untangling Academic Publishing; the History of the Relationship between Commercial Interests, Academic Prestige and the Circulation of Research”, 25 May 2017. The event has been storified, and the entire paper is free here. International Women’s Day blog post for the Vegan Society by CMR; “Dame Kathleen Lonsdale, the Vegan” (8 March 2017). 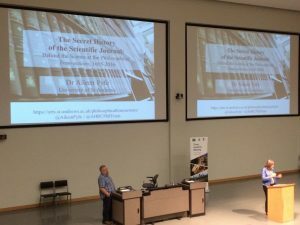 Blog posts for the Royal Society’s publication and library blogs. 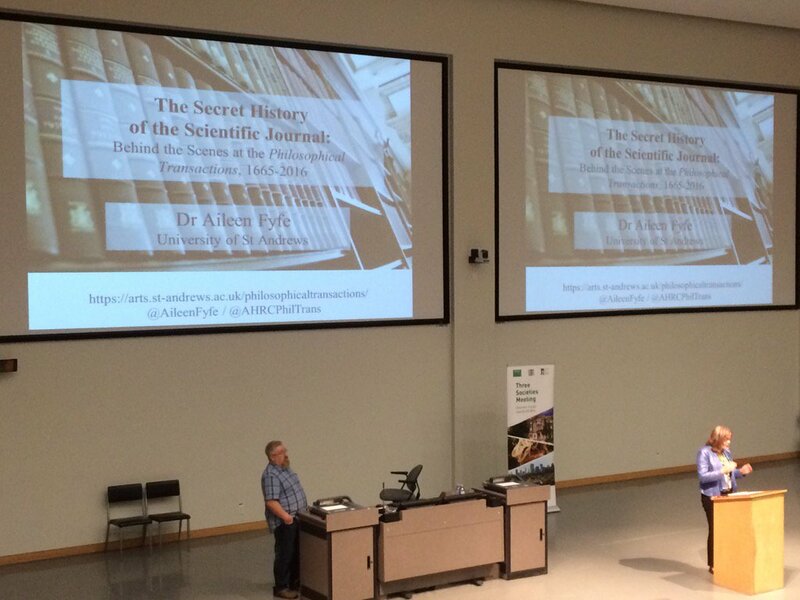 Aileen Fyfe is introduced as keynote speaker at the 3 Societies meeting of science historians in Edmonton, Canada.